And you thought Avengers: Infinity War was shocking. In the emotional aftermath of Infinity War, the screenwriters behind both it and its upcoming sequel, Avengers 4, spoke with BuzzFeed News to discuss the future of the Marvel Cinematic Universe — particularly how it will move on from Infinity War's cliffhanger ending and multiple deaths. Popular speculation suggests that Avengers 4 might leap in a different direction, take place in a new time setting, or even explore another part of the universe before addressing the fates of our fallen favorites. 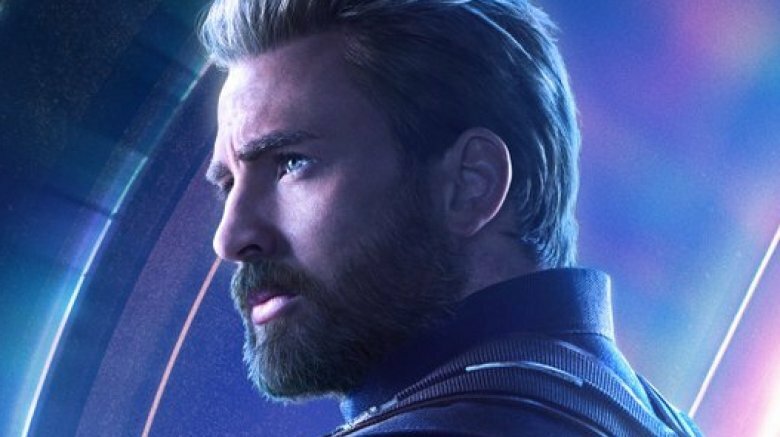 But Avengers 4 writers Christopher Markus and Stephen McFeely have made it clear that not all the heartbreak and tragedy fans saw in Infinity War will be cleared away in the follow-up, and that the film certainly won't do what everyone suspects it will. "[Avengers 4] doesn't do what you think it does. It is a different movie than you think it is," Markus stated. "Also … [the deaths are] real. I just want to tell you it's real, and the sooner you accept that, the sooner you will be able to move on to the next stage of grief." Considering that Tom Holland's Spider-Man was one character who faded to dust in Avengers: Infinity War but he still has his another film (the untitled Spider-Man: Homecoming sequel) in the works, it might be safe to assume that the deaths Markus referred to are the ones that don't involve any mystical space powder. That would mean the murders of Heimdall (Idris Elba), Loki (Tom Hiddleston), Vision (Paul Bettany), and Gamora (Zoe Saldana) are the only legitimate deaths seen in Infinity War, and those who disintegrated into nothingness may still be alive in some capacity. Again, this is just another layer of conjecture to add to the towering theory-crafting cake, and only time will confirm or deny such hypotheses. Off Markus' comments, McFeely added that though Infinity War is a "fairly mature movie for a blockbuster," fans should prepare themselves for more intensity in Avengers 4. "It's got a lot of fun in it, obviously, but boy, it gets very mature. The second one is also mature," explained McFeely. "We're going to own these choices, and hopefully surprise and delight you and get you invested. It's by the same studio, the same filmmaking team. They were written at the same time, shot at the same time." This doesn't necessarily mean that Avengers 4 will be formatted in the same manner or be fitted with the same feel as Infinity War, however. McFeely noted that the two films are "clearly connected," but are "definitely two different movies, one of which is dependent on what happened previous." One gripe some critics had with Avengers: Infinity War is that it felt like the first half of one massive story, so it's interesting to hear that it and Avengers 4 aren't two clear-cut parts of a single narrative. Of course, next year's installment won't — and can't — ignore what came before it, but with Thanos (Josh Brolin) having wiped out half of Earth's population, Avengers 4 might not pick up exactly where Infinity War left off. We'll find out for sure when Avengers 4 launches on May 3, 2019.